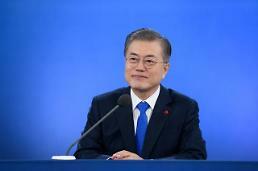 SEOUL -- As a follow-up to rapprochement accords signed at an inter-Korean summit, South Korea's defense ministry unveiled a pilot project Tuesday to withdraw soldiers and weapons from guard posts inside the demilitarized zone which bisects the Korean peninsula. At talks in April at the truce village of Panmunjom, South and North Korean leaders agreed to work on ending the status of war, stop all hostile acts against each other and turn the demilitarized zone (DMZ) into a genuine peace zone. In a policy briefing to parliament on Tuesday, the South's defense ministry said that it would consider withdrawing troops and equipment from guard posts (GPs) on a trial basis and expand the pullout program gradually throughout the four-kilometer-wide strip of land that has divided the Korean peninsula since an armistice accord ended the 1950-53 Korean War. The buffer zone was originally set up to be clear of heavy weapons with border guards allowed to use only personal sidearms like pistols for patrolling to prevent any unnecessary clashes. 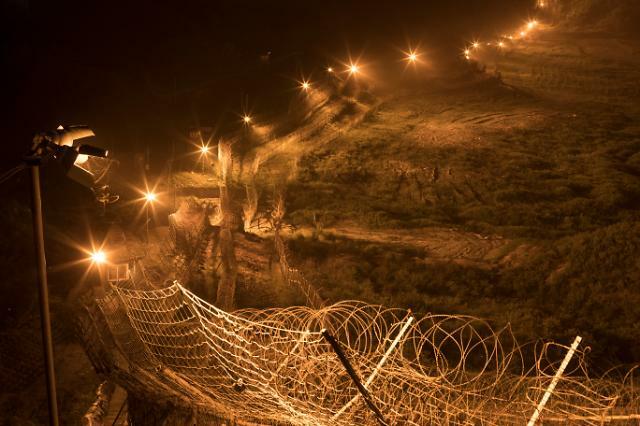 However, North Korea has deployed mortars and large-caliber machine guns at 160 guard posts while South Korea has built concrete bunkers for guardposts in 60 places. 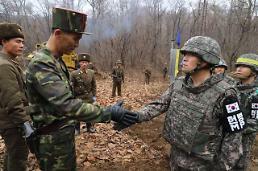 The defense ministry floated the idea of working jointly with the United States and North Korea to excavate the remains of soldiers buried in the DMZ. At a summit with U.S. President Donald Trump in Singapore in June, North Korean leader Kim Jong-un promised to repatriate the remains of American soldiers. Talks have been held in Panmunjom to repatriate some 200 sets of remains. The ministry also called for an inter-Korean project to turn Panmunjom, the symbol of division and acute Cold War confrontation, into a peaceful joint security area. Panmunjom encompasses an 800-meter wide enclave, roughly circular in shape and created as a neutral area. The hedgeless truce village is the only contact point inside the DMZ, surrounded by minefields and guarded jointly by North Korean and American soldiers carrying pistols, not heavy weapons, to prevent conflicts under the armistice accord. As a way of hedging, the ministry promised to push ahead with the buildup of military power and equipment to neutralize North Korean missiles and nuclear weapons.